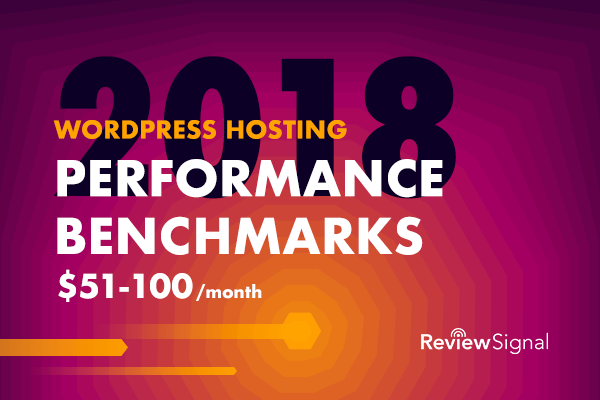 This post focuses only on the results of the testing in the $51-100/month price bracket for WordPress Hosting. This test scaled from 500 to 3000 users over 30 minutes with 10 minutes at the peak. Kinsta, Pantheon [Reviews], and WPOven handled this test without issue. Pressable had nearly all errors from Tokyo again. A strange issue but a minor one. CloudWays [Reviews] DO experienced increased response times to 1000ms. Nestify experienced increased response times and errors. This test scaled from 1 to 2000 users over 15 minutes. Error count capped at 5,000. Kinsta, Pantheon [Reviews], Pressable, and WPOven handled this test without issue. CloudWays [Reviews] DO started showing signs of load with significantly increasing response times. Nestify had a 100 Mbps network limit that was hit and caused increased response times and errors. All companies kept great uptime (>=99.9%). I looked at the aggregate change again for the locations which were similar. There were 12 companies last year in this price bracket and only six this year. Across the nine same locations used, there was a cumulative decrease in response time of 3.14 seconds. For instance, Dulles dropped from 0.80 to 0.38 seconds on average. Kinsta had the fastest PHP bench and WP bench. The average PHP bench went from 11.00 to 10.64 from the 2016 benchmarks in this price tier. The average WP bench went from 505 to 414. We saw the PHP bench improve slightly but the WP bench decrease a lot. 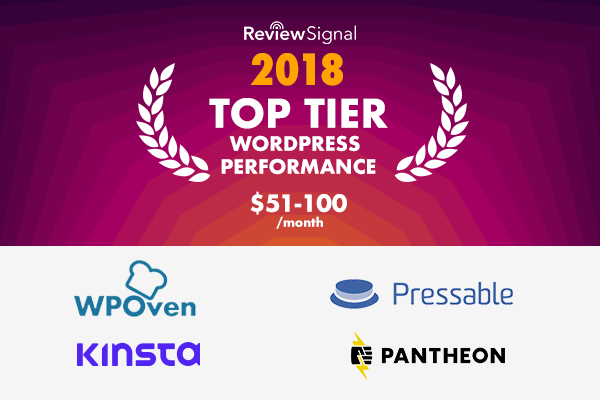 Kinsta, Pantheon [Reviews], Pressable, and WPOven all earned Top Tier status this year for going through all the tests without any significant issues. CloudWays [Reviews] DO had perfect uptime at 100%. But both load tests started to show signs of load with increased response times going into the multiple second range with a classic increased response time as load increases. I should also note this plan cost $70 when the testing occurred but Digital Ocean has reduced their pricing and this plan now costs $42. Kinsta had 1 error between both load tests and 100% uptime. Nearly made that perfect score. Another Top Tier performance. Nestify had good uptime. But the load tests weren't kind. LoadImpact hit the same 100 Mbps limit as it did at other price tier. Load Storm seemed to cause a little too much load for the server to handle as well. Pantheon [Reviews] earned top tier status again with 100% uptime and near perfect load tests. Another repeat Top Tier performance from WPOven. Nobody seems to be paying attention to these guys, not sure why. Good uptime, 1 cumulative error on the load tests. Great job.